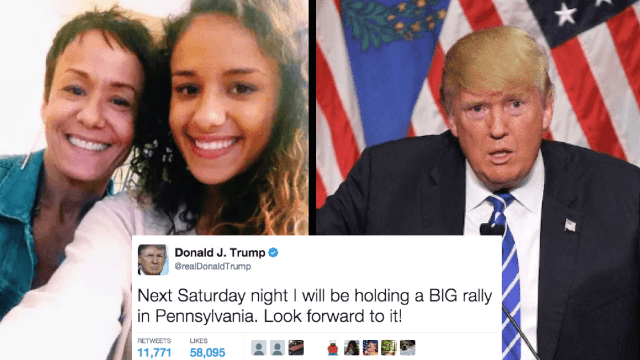 Twitter loves this mom who bravely tried to scam an entire Trump rally. Twitter is cracking up at this mom for being brilliantly "extra," taking her #resistance to the next level. 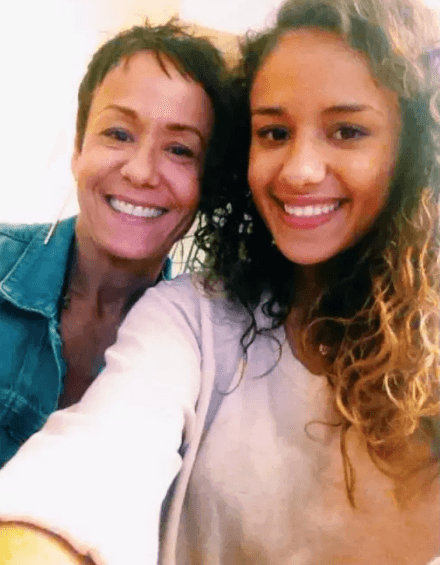 Becca Mayo is a student at the University of Minnesota, and her mom Susan lives in North Carolina. One day while Becca was in class, she got a surprise text from an unknown number—and a quick, hilarious explanation. Susan is registering everyone she knows to attend President Donald Trump's ego boost rally in Pennsylvania on Saturday, in hopes that it'll make for empty seats. She told BuzzFeed that she was inspired by this meme that was circulating all over social media. Becca's mom launched the meme into action and Twitter applauded her for doing the "Lord's work." While there's a debate over whether or not this will actually affect the turnout at the rally, with MAGA Hatters showing up first come, first serve. But going viral and getting people talking about sticking it to Donald Trump is some exciting mother-daughter bonding nonetheless. "It seriously made me realize how much I'm like [my mom] because this is some next-level petty that I would 100% also think of doing," Becca told BuzzFeed. "I think she would be happy if Trump somehow saw my tweet and got angry because then she'd know she'd been right for calling him a baby and a loser ever since, like, the primary election." P.S. For those also wondering, this is Becca's dope lockscreen behind the texts.